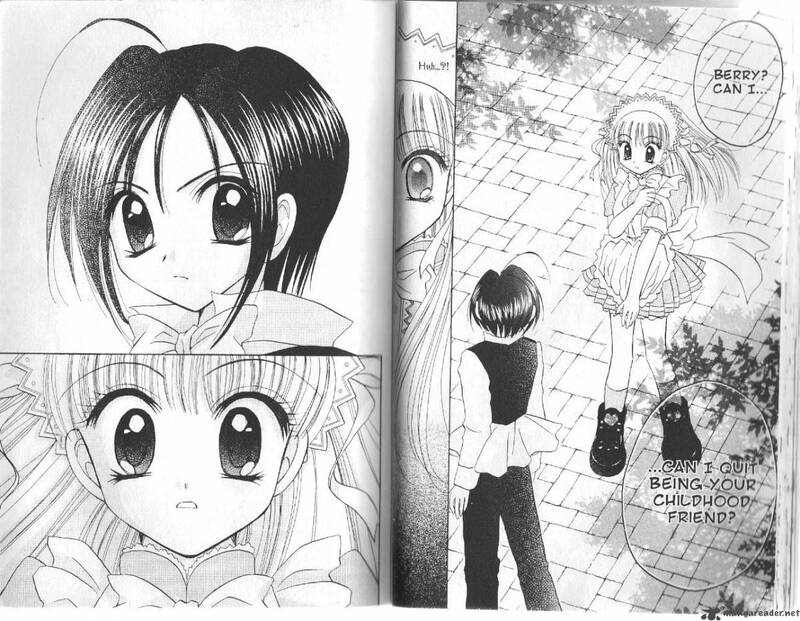 It’s time to look at the quick sequel that came out after the original Tokyo Mew Mew. In omnibus form it’s only one volume so it definitely doesn’t take too long to go through it. It’s a fun sequel but one that does end way too fast. It feels as if the series was cancelled with how abrupt it all is. It doesn’t have the depth of the first series, but it isn’t bad. It’s just uninspired and hits a lot of the beats from the original without the needed length to make the whole thing flow. After the Mew Mew team destroyed the villains’ ambitions the world probably thought they would enter an era of peace. Unfortunately that was not to be. Monsters continue to spawn in the streets and the heroes are having a much tougher time than normal due to Ichigo moving away. Without their leader the team is lost. We are then introduced to a girl named Berry. She was an ordinary teenager until one day she accidentally receives Mew Mew powers. The cafe owners who run Mew Mew behind the shadows think she has a lot of potential and tell the old heroes that Berry will be their new leader. Ichigo also comes back home temporarily to help the team until all of the monsters are down for the count. The team is pretty stacked now so surely they can win right? If you think that the whole Berry thing sounds rushed…you’d be right. She basically becomes leader of the team overnight. It’s fortunate that the rest of the team are so understanding of this. Berry is a nice enough protagonist. She’s very similar to Ichigo, but maybe a little bolder and more willing to jump into action. It doesn’t really help the romance angle any more than the first series though. I definitely have no complaints with Berry. I think she is able to hold her own series pretty well. She’s certainly the best of the Mew Mew members at this point. Meanwhile the main guy this time is Tasuku. Tasuku is definitely better than the guy from the first series as he actively does his best to protect Berry and help her get through her personal problems. The guy is pretty selfless and he can even fight a bit. He does fall for mind control pretty easily though and the resolution to that plotline doesn’t help his case either with how quick he snapped out of it. That means the mind control couldn’t have been all that strong. While mind controlled he definitely doesn’t make for a particularly good villain either. It kind of goes without saying, but naturally I wasn’t a big fan of the romance here. It takes a long time to really go anywhere and the dynamic was better when they were childhood friends. No reason why they couldn’t have just stayed that way. Still, I’ll say that the romance was better than what we got in the first series. That one had way too much back and forth with all of the different guys going after Ichigo. At least this time Berry was only with one guy the whole time. Now lets talk about the new villains. Or at least most of them. The villain group was fairly big, but some members didn’t get to do anything like Sweet Juliet or Blue Bayou. They’re around to fill out the ranks, but the series ends before they can do anything. Happy Child has an interesting design for sure but he definitely isn’t much of a threat. Really, one of the only tough villains here is Royal Highness. He strikes using mind games and deceptions. That may not sound too impressive but it’s relaly all you would need to take down most of the cast. For the ones that remain all you need are some quick energy bolts. I can’t say that he was an interesting villain though. Duke is effectively the leader of the group and she even has a hat that looks like something out of the Ku Klux Klan. Right away you can tell that she’ll be one of the big bads here. That being said, she doesn’t seem to have all that strong of a resolve to be honest. She is very quick to re-think her whole plan and that’s part of what hurts the ending to A La Mode. After all of the destruction and nationwide terror her group basically just calls it quite. In a matter of pages they go from trying to destroy the world to just walking away. It’s way too rushed and just hard to believe in general. The series ending so quickly also didn’t let us properly explore some of the subplots. One example of this is Ichigo who begins to lose her powers for some reason. As a result she can only transform for a few minutes. It’s actually a pretty interesting idea but I’d like an actual reason for it. The rest of the members don’t seem to be affected, but at the same time they are barely characters here. They each get like 2-3 lines of dialogue, but for the most part are just in the background. It’s a shame since having them interact more with Berry could have been fun. The art is pretty good though. It’s always pretty clear so you can see what is happening during a fight scene. The characters are all drawn differently so you won’t mix them up either. It’s definitely the strongest part of the manga. Not to say that the rest is weak or anything, but the art is just very solid. You won’t have any problems with it as you’re reading through the volume. There’s no problem with the writing either. The dialogue is good and the characters do a good job of saying what they mean. There are never any big misunderstandings because the characters are trying to be vague. A La Mode’s concept is good and it’s nice seeing the old characters again. I’d definitely be up for more one shot sequels for other titles with a new main character or just bringing back the old cast more like what Fire Red did. Either way it’s fun to see how they’ll make the new villains a threat. In A La Mode’s case I’d argue that they never were much of a threat though. At most they could challenge the heroes when it was one on one, but whenever the teammates would show up it was over. There just wasn’t much that the villains could do at that point. 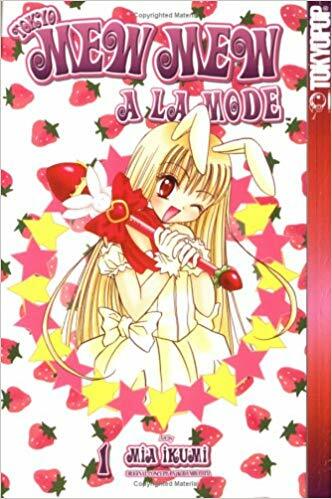 Overall, A La Mode is a sequel that feels like filler for the most part. It doesn’t really add much to the story, but I’m sure people were probably hyped when it started back in the day since the original Mew Mew ended with a big cliffhanger. I think keeping Berry’s more mysterious personality (Okay, she only had one line but I got that vibe) from the ending would have made her a more interesting character here. It would have also been very unique for sure. I definitely recommend checking this sequel out if you read the original. The series definitely has pacing issues, but overall I would put it above the first series. The plot does start right away so that’s always good.